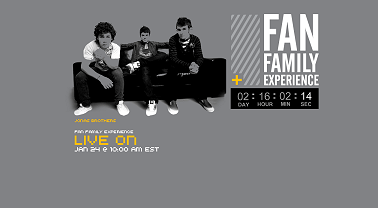 Jonas Brothers Fandemonium: FanFamilyExperience.com is now UP! Nick, I hopes that you read my letter I gave you in State College and would write me back?! My whole family loves you guys.